The Waring PJE401 Juice Extractor is a powerful, commercial quality juicer that has disposable filters which make clean-up a snap. 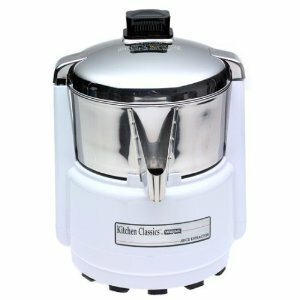 Conclusion: Overall this is a good juicer for the price. The Waring PJE401 Juice Extractor is easy to operate and clean thanks to the disposable filters. 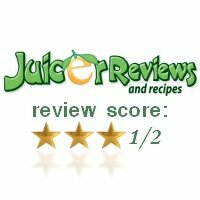 Based on my research and compared to similar models available, this juicer receives a 3.5 out of 5.